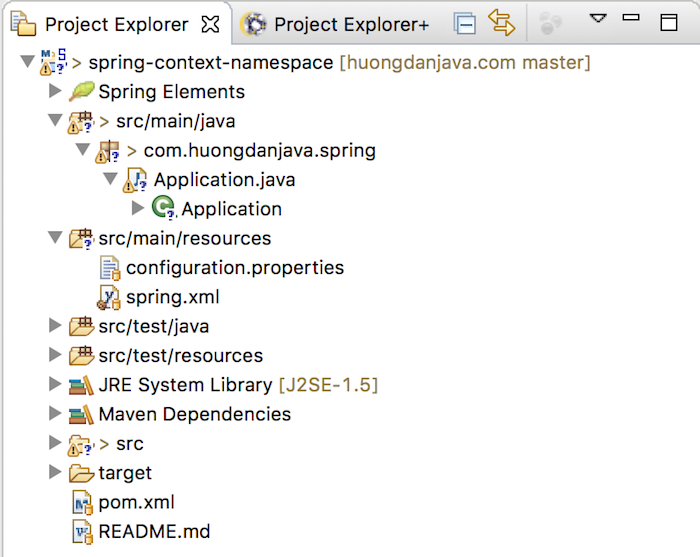 In this tutorial, I will show you how to read file properties in Spring using the context namespace. But first, let’s create an example project. Now, I will be configuring the context namespace in Spring’s configuration file so that it can read the properties in the configuration.properties file, and then our application can use it! In this declaration, I used a <context:property-placeholder> tag of the context namespace to declare the path of the properties file. To read multiple properties files at the same time, you also use the location attribute of the <context: property-holder> tag and the path of the properties files will be separated by a comma.